Who Should Have an Energy Audit? If you’ve been following our blog here at California Energy Services, chances are you’ve heard us speak on the importance of getting an energy audit for your El Dorado Hills area home. Even if you’re familiar with the energy audit process and what it means, however, you may have a hard time understanding whether or not it’s right for your home. This is especially true for those who have recently moved into a new home or have purchased a new HVAC system, in which case it’s commonly assumed that “new” is analogous to “energy efficient.” Sadly, this is not always the case. Just because a home is relatively new doesn’t mean that it’s well-built. In some cases, homes can leak air which causes indoor air quality issues and results in structural problems over time. If your insulation was installed by a contractor who is not BPI Certified it might not be properly installed. Sometimes, insulation is missing entirely, which can lead to a host of problems that will only get worse as the home ages. So, who should have an energy audit? Everyone! It’s the most cost-effective way to find out just how efficient your home is, and it will provide us with the data we need to recommend an action plan should we discover any glaring issues. What Should I Look For In An Auditor? Regardless of whether or not your home was built recently, you can expect to benefit from conducting an energy audit. The trick, however, is knowing what to look for when choosing who will perform the audit. This is one scenario where it’s good to be picky! For example, it’s important that you never hire an auditor who hasn’t earned their Resnet or BPI certifications, both of which are essential in someone who will be providing an overview on your home’s energy efficiency. At CES, we take the quality of our energy audits seriously. 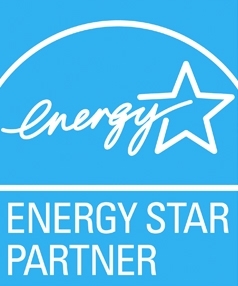 It’s important to us that each and every customer we serve not only enjoy the benefits of a more efficient home (such as higher comfort levels, reduced energy bills and better indoor air quality), but also that their HVAC systems are performing up to par and aren’t a threat to the safety of inhabitants. Our BPI and Resnet-certified team members will take a close look at the finer points of your home’s performance, offering up suggestions about work that can be performed to get things back on track. There’s no better time than now to ensure that your home is ready for the upcoming weather with an energy audit from California Energy Services. Contact us today to learn more or to schedule an appointment.